Rose Flower Meanings: What Does Number of Roses Mean? 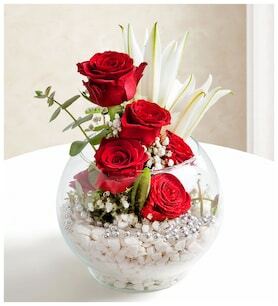 As the kind of flowers has a meaning, the number of roses sent also communicates a special message. There is evidence that proves that the flowers have been given away as a gift starting from the middle ages. However, from the second half of the 18th century, the Western world discovered that in Ottoman Empire the number and the kind of flowers had unique meanings. During the Victorian Ages, feelings and emotions were not expressed due cultural etiquette, so the flower code gained popularity fastly. They adapted the flower language to the Western culture. Even in modern times we still keep this custom that has been expanded globally. The number of roses also convey special meanings. LolaFlora offers different arrangements, and the meaning of the numbers are explained below. One: Love at first sight or never ending love. Two: Expressing your love and care as a couple. Three: Means the happiness of sharing your life with someone. They are the perfect option for a first anniversary. Six: Symbol of an endless passion, and confessing that it this is the first love. Eight: Gratefulness for love and support. Ten: The perfect number for a perfect love. Twelve: The Proposal Dozen, with them you may ask: “Would you be mine?” or “Would you marry me?”. Thirteen: A symbol of eternal friendship. Fifteen: Just the perfect number to say “I am sorry” and show your regret. Twenty: If you are trying to prove that your intentions are good, send them 20 roses. Twenty-four: Declaration of eternal love. Forty-one: Express sincere love and care. Fifty or more: They show a love without barriers that would fight against anything to prevail. They are the perfect option for a wedding anniversary. One hundred: The complete devotion to your lover, a love that will last until eternity.